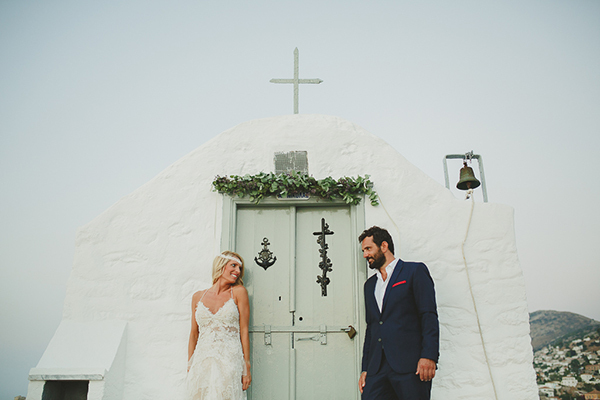 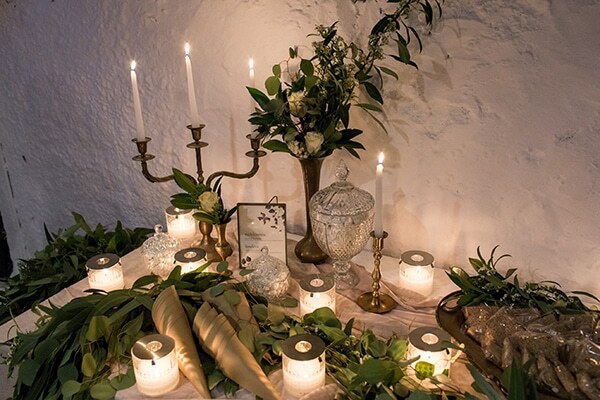 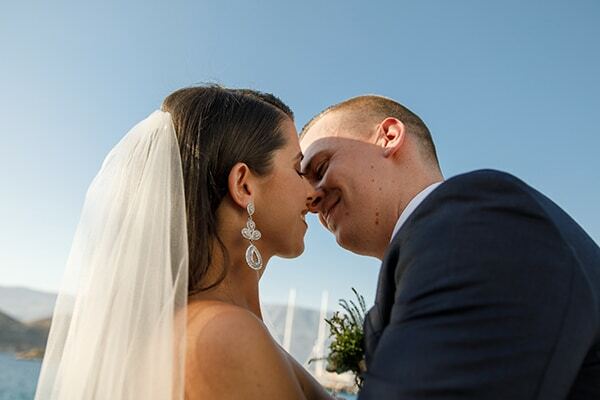 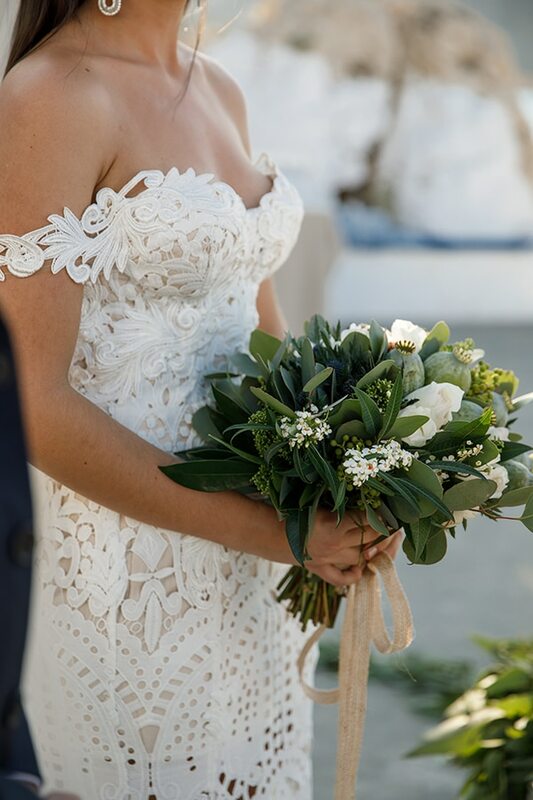 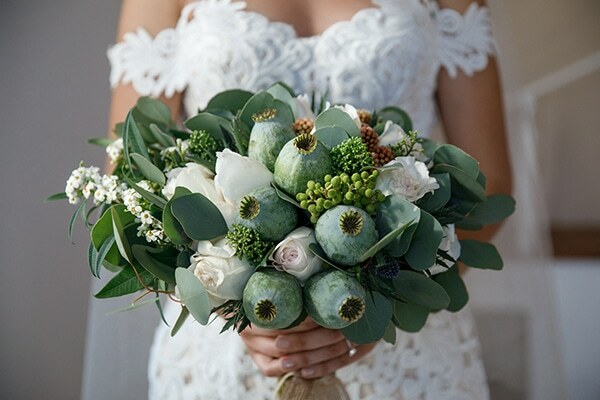 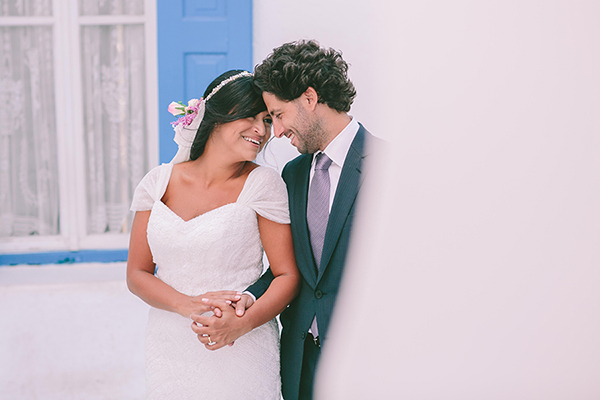 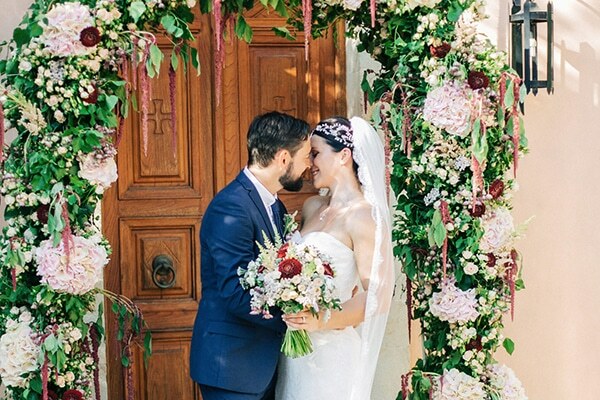 Today we’re sharing with you a gorgeous, fresh wedding next to the sea. 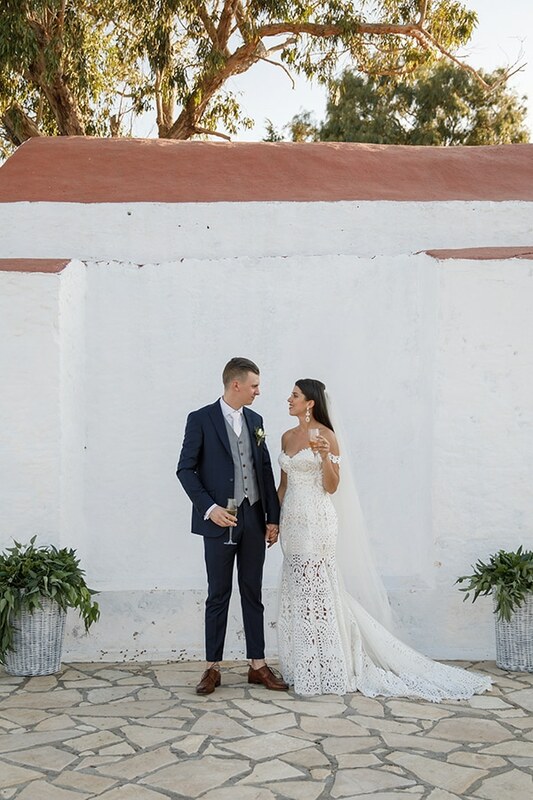 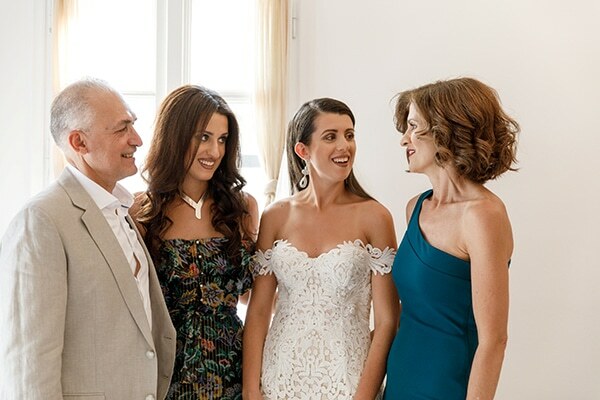 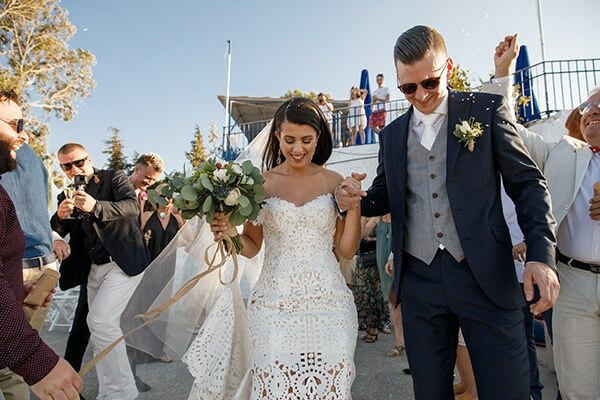 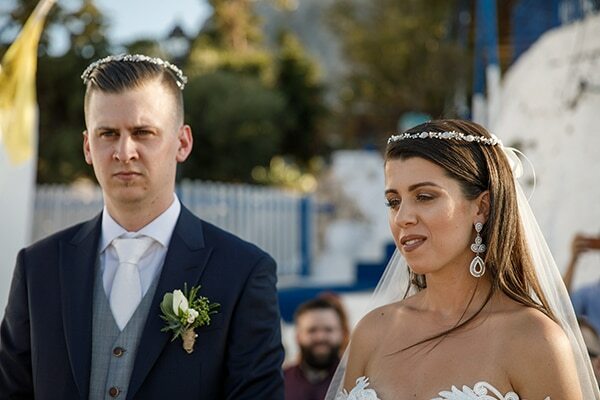 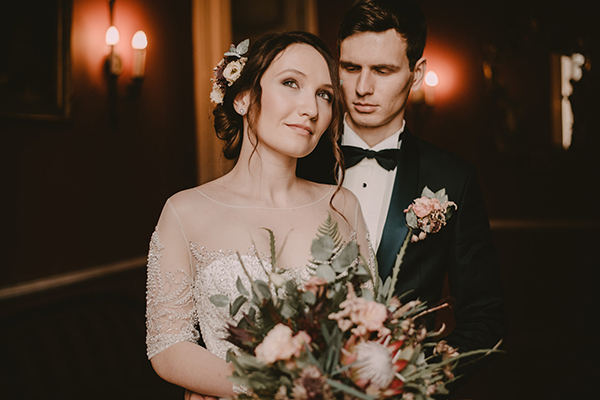 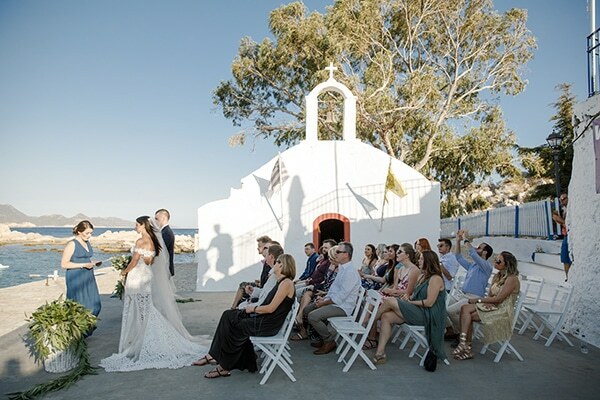 Polyxeni and Gerard decided to seal and celebrate their love with their closest friends and family, in a dreamy location. 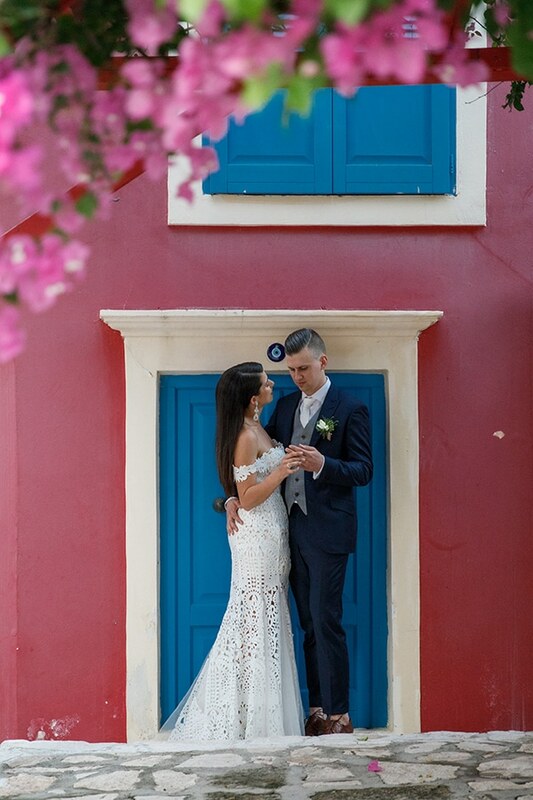 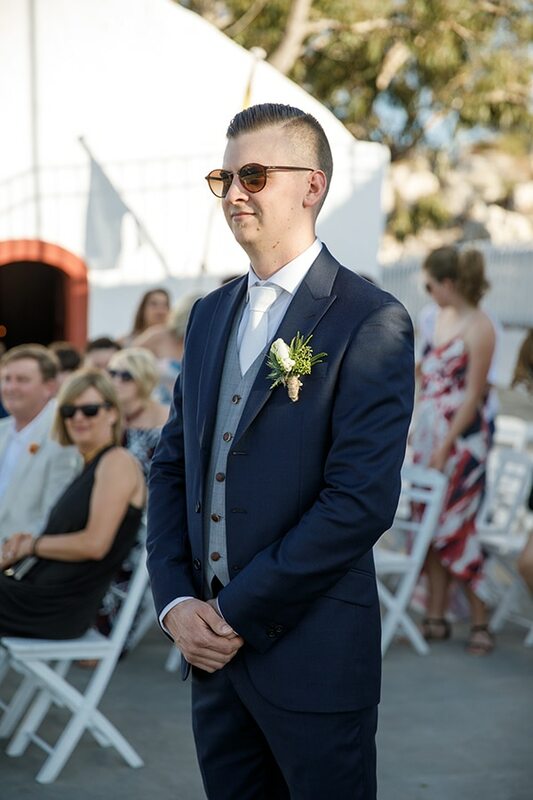 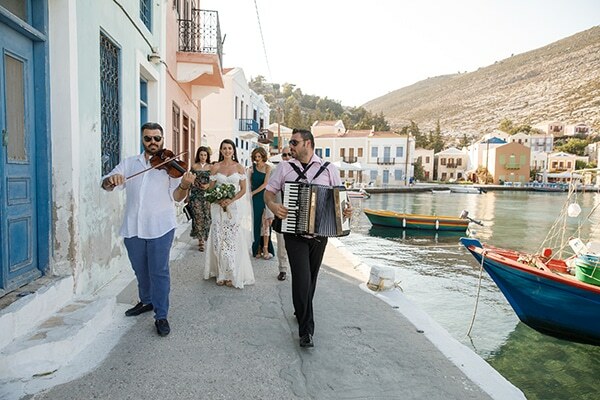 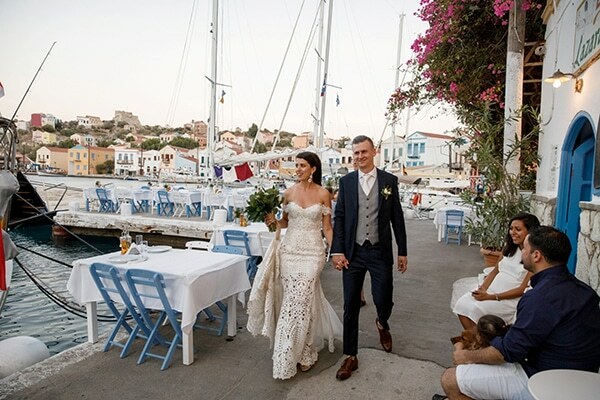 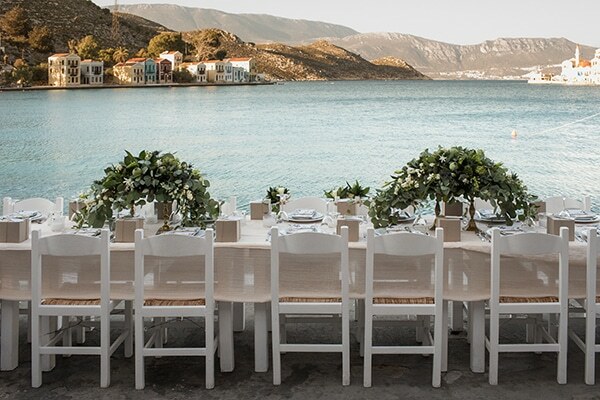 A small rocky island, next to Kastelorizo was the perfect choice for an outdoor traditional ceremony. 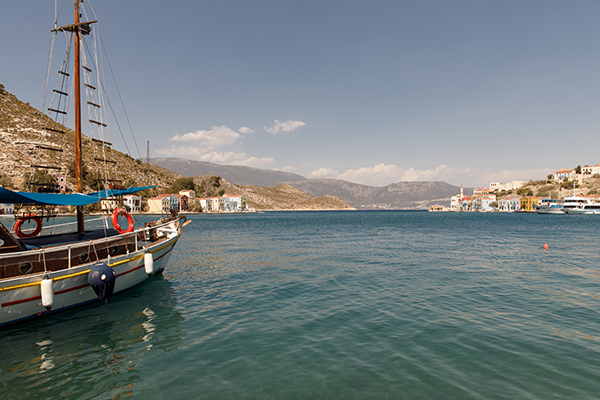 All the guests enjoyed a small trip by a traditional fishing boat to arrive to the island. 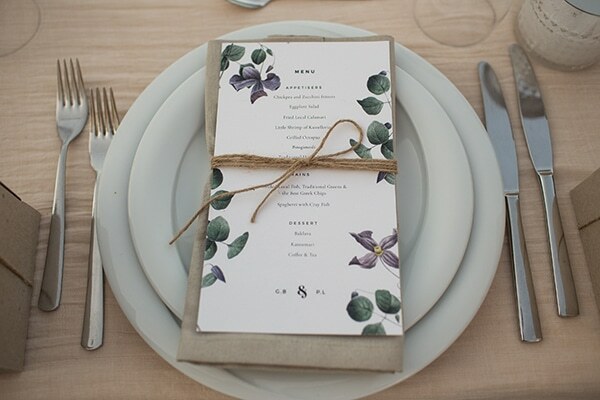 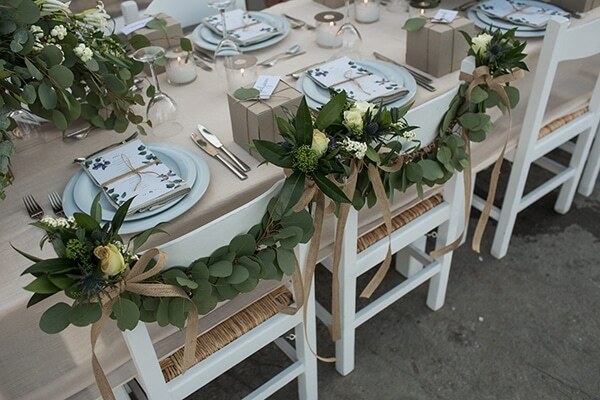 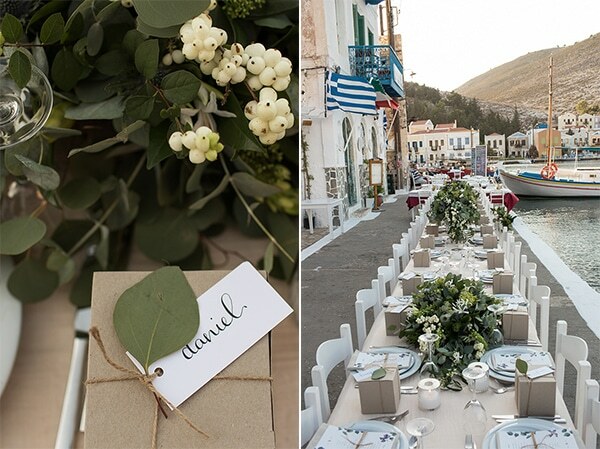 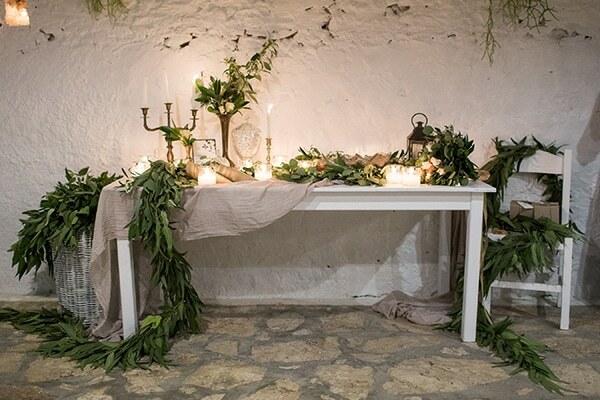 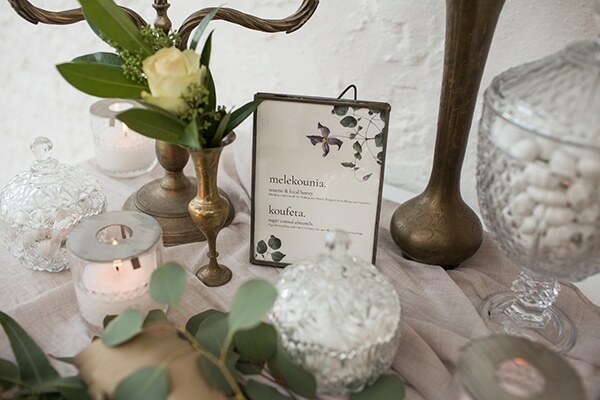 After the ceremony, a long table on the edge of the water with green and beige hues was waiting for the couple and their guests to enjoy a local, delicious meal. 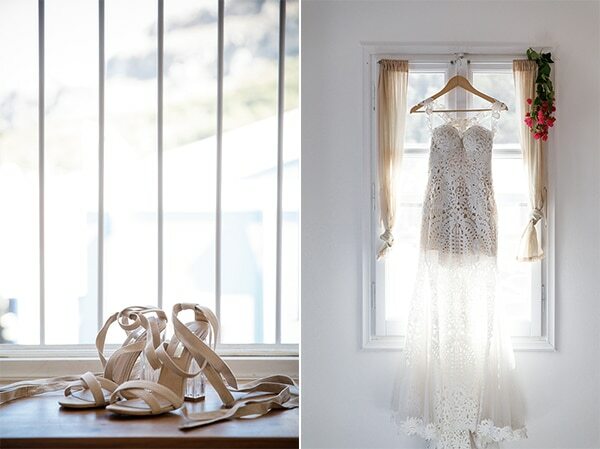 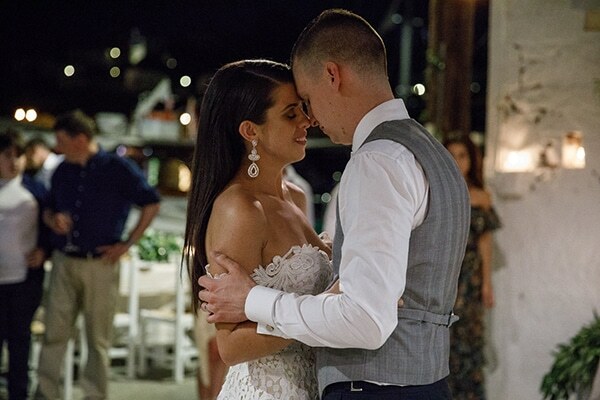 Get inspired by all the unique beautiful details of this wedding through the pictures below!